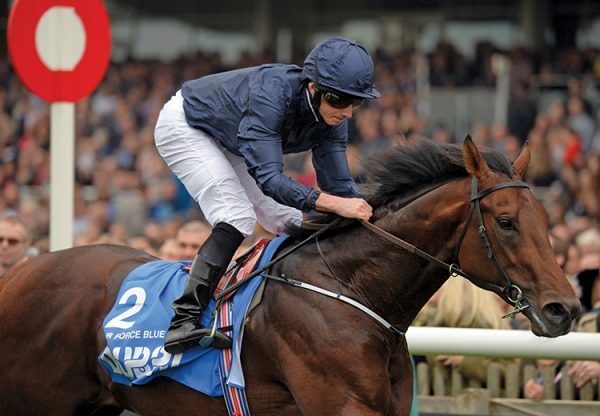 Last season’s European Champion Two-Year-Old Air Force Blue, described by Aidan O’Brien as the best juvenile he has ever trained, has been retired from racing and will stand at Coolmore America’s Ashford Stud. The son of War Front from W.T. Young’s Grade 1 family of Flanders and Surfside broke his maiden as early as the month of May, despite being a May foal, and went on to record three straight Group 1 successes in the Phoenix Stakes, Vincent O’Brien National Stakes and the Dewhurst Stakes. Timeform and Racing Post were unanimous in rating him 5 lbs superior to the next best colt of his generation. 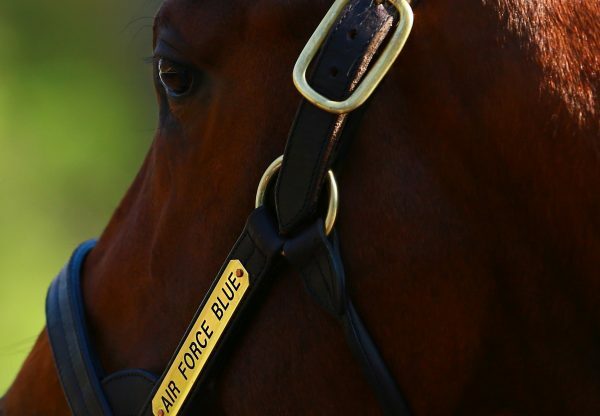 “With the exception of Frankel who has made such a brilliant start to his stud career, Air Force Blue is Timeform’s highest-rated juvenile in nearly 20 years. 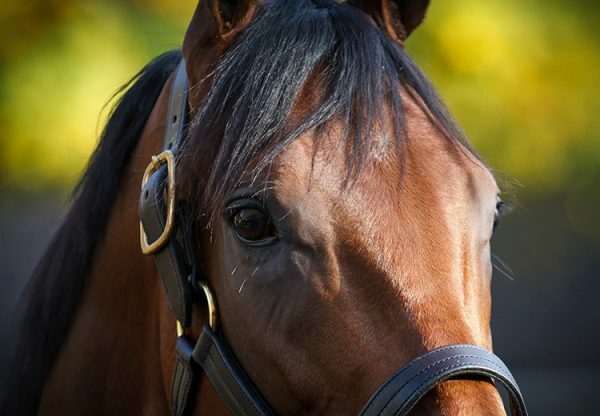 In fact, he’s the highest-rated juvenile ever from the Danzig line” said Ashford Stud manager Dermot Ryan. “Arthur Hancock has bred many very good horses over the years and all of our team loved Air Force Blue when we saw him as a yearling at Keeneland. He was a very racy sort with plenty of size and scope and a great action so he very quickly went on the short list. He proved himself to be a brilliant two-year-old and it’s great to see War Front now heading the Leading 2YO Sires table. Aidan O’Brien already has four Group-winning juveniles by him this year including the 1-2 in last weekend’s Group 1 Cheveley Park Stakes. We’re absolutely thrilled his best two-year-old son is coming to Ashford,” Ryan added. Air Force Blue’s fee will be announced at a later date.